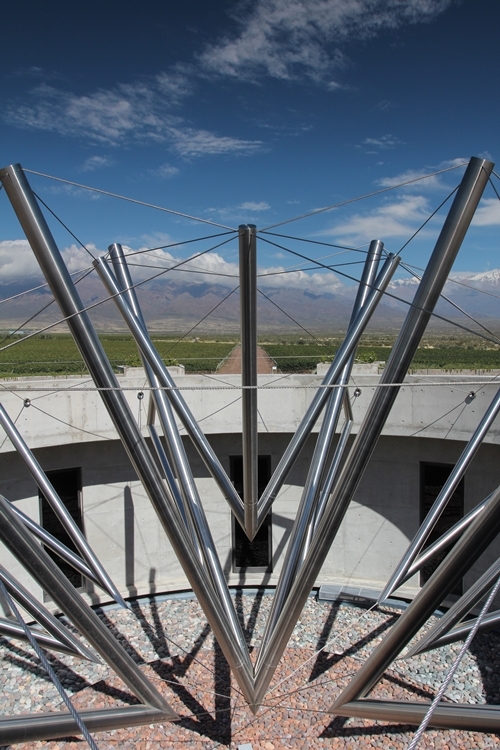 DiamAndes is perhaps the most spectacular of the wineries in Clos de los 7. The architecture is truly remarkable, and it is designed by the famous architects Mario Yanzón and Eliana Bórmida. The winery surrounds a diamond shaped sculpture (here captured) that hangs above their wine-cellar/library and casts natural light into the room. DiamAndes is owned by the Bonnie family, who also own three wineries in Bordeaux, including Château Malartic-Lagravière (a Grand Cru Classé of Graves) and Château Gazin Rocquencourt (in Pessac-Léognan). 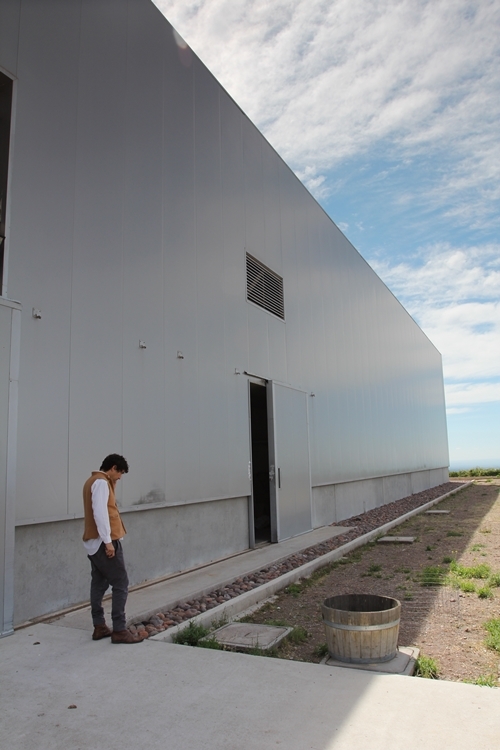 The winery is designed to both follow the principles of gravity flow and to utilise natural thermal insulation. 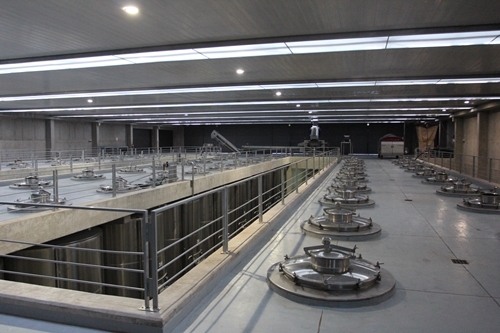 The fermentation, storage and ageing facilities are therefore all located at different levels below the ground. 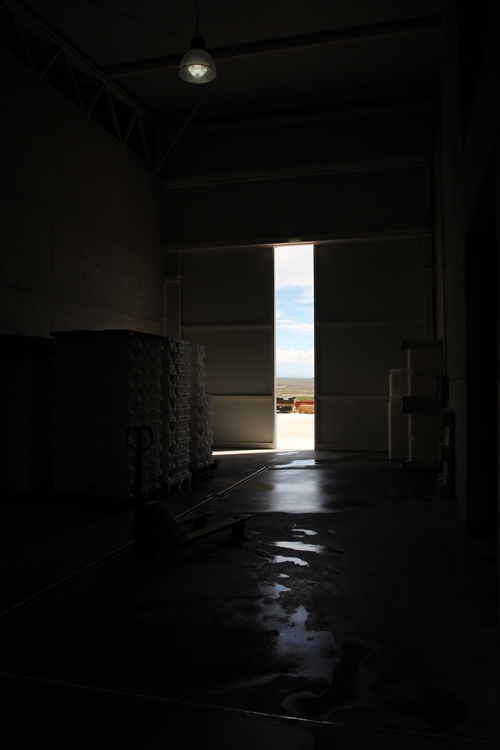 There is a generous flow of natural light, even though their fermentation facilities are found underground. 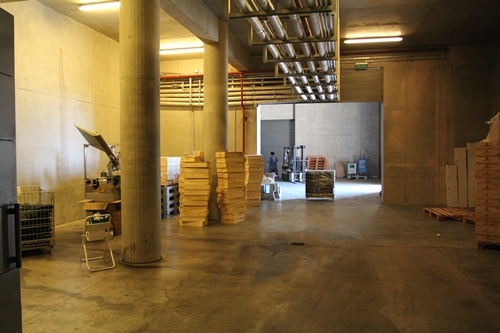 Visiting just before harvest meant that the wineries were all busy preparing for this intense term of year. 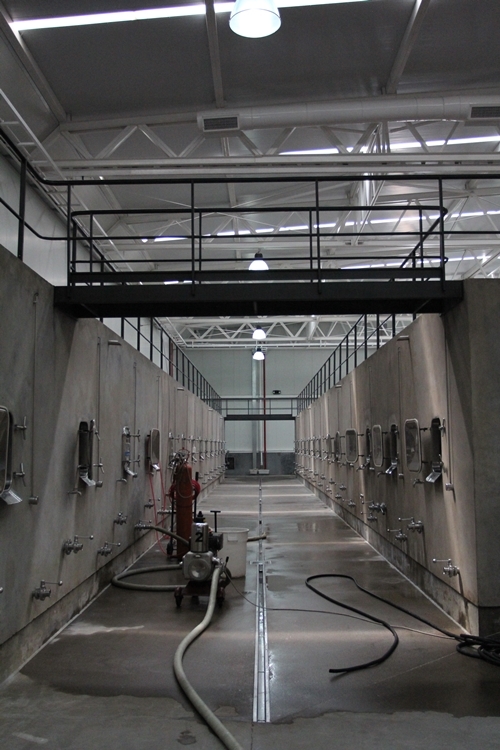 Here we see two tanks being cleaned and prepared to receive grapes. The architecture is incredibly pleasing! Out with the old, in with the new. 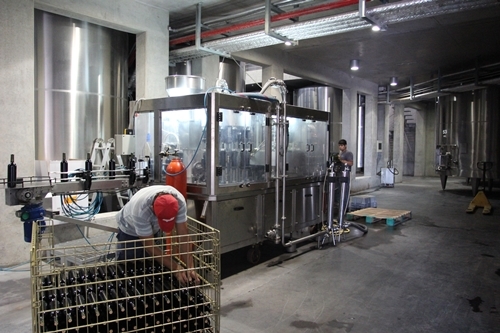 Bottling Malbec at DiamAndes. 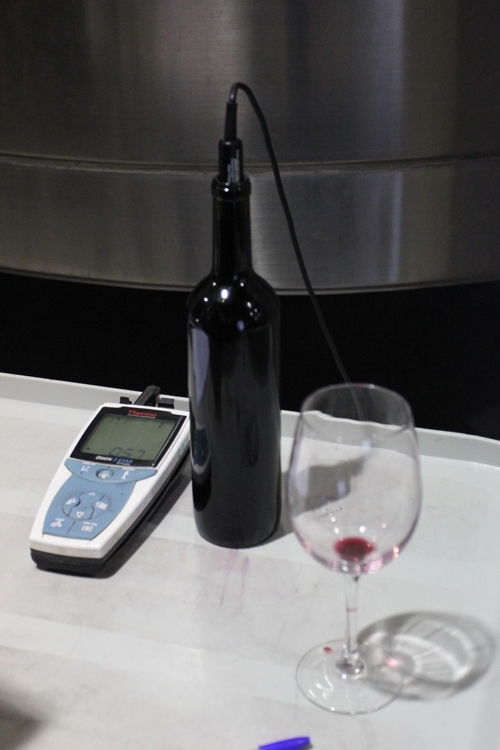 Testing the wine when bottling is important to see if the wine needs to be stabilised by using a preservative as potassium sorbate or sulhate. Even their lab is blessed with natural daylight. 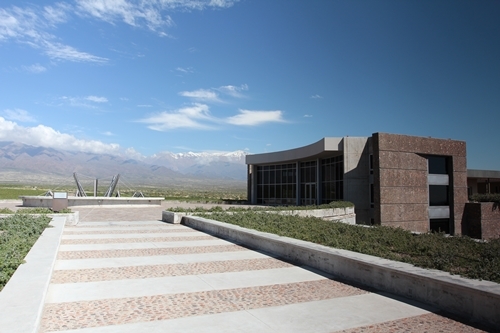 Their tasting room is permeated by design and their stunning views of the Andes. 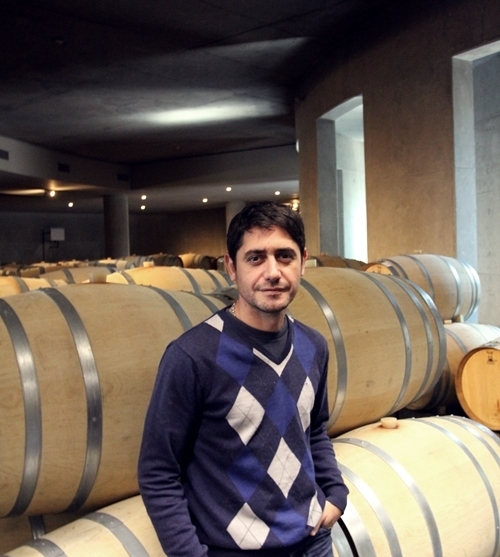 Federico Bizzotto, second winemaker at DiamAndes. He works alongside Silvio Alberto and Michel Rolland. 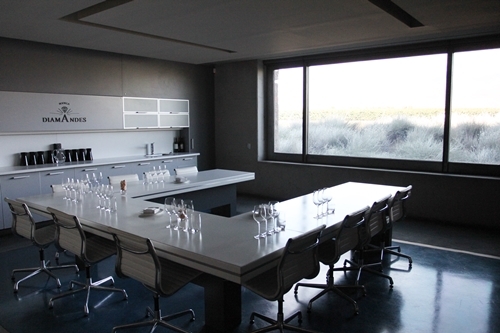 Their wines (at DiamAndes) are characterised by being more accessible and aimed at a broader audience when compared to the other partners in Clos 7. The quality is though surprisingly good, and the Gran Reserva is simply outstanding. 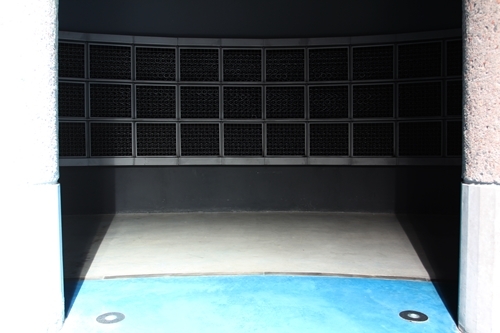 Their wine cellar/library is positioned at the centre of the winery, just below the diamond sculpture. 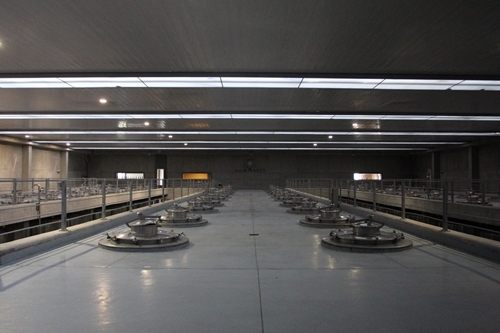 The atmospheric room is also used for tastings. Here Gran Reservas are being packed and prepared for sale. 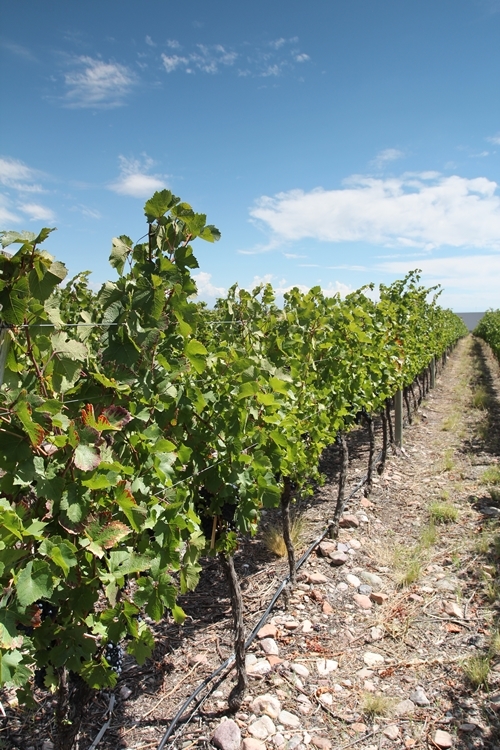 The vines are planted and maintained with immense attention to detail. Michel Rolland’s plots are found at the highest elevation, nearest the Andes. He has bravely planted two small vineyards of Pinot Noir as captured here, which goes into his Mariflor Pinot Noir. 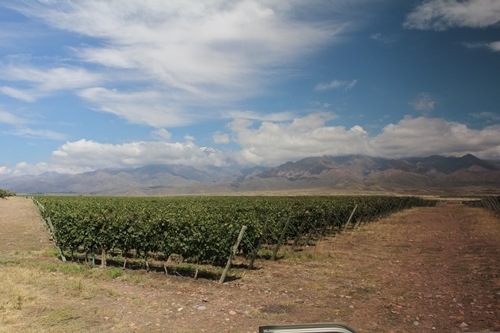 One of Michel Rolland’s Malbec vineyards, positioned along the western edge at the foot of the Andes. 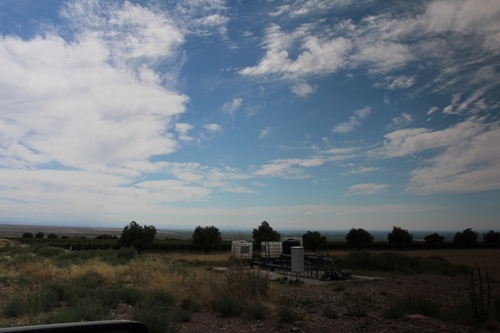 Uco Valley’s dry climate makes irrigation essential, and pumping stations play a significant role in supplying the vines with irrigation. Michel Rolland’s own winery; Bodega Rolland. 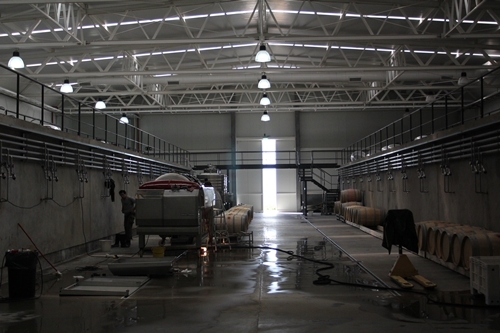 It was the last of the wineries in Clos 7 to be constructed. The design and architecture is quite industrial and the focus is overall on function. Captured on the phone is Pablo Molinengo, Tourism & Hospitality Manager at Clos de los 7. 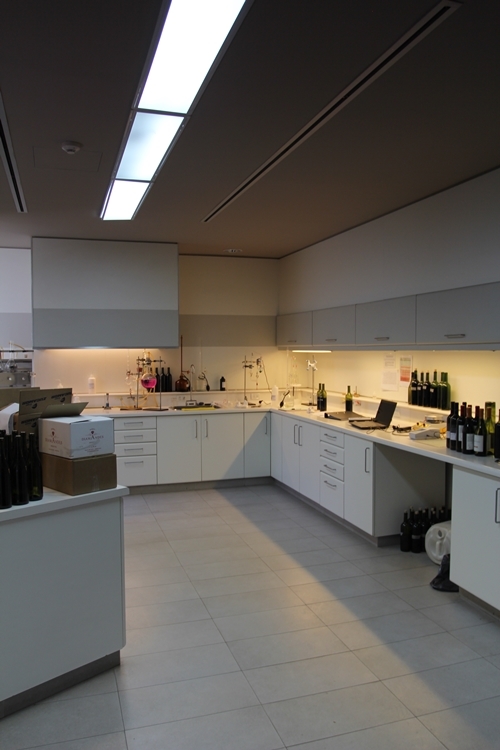 Inside Michel Rolland’s own winery, we meet a design that is meant to be less flashy; centring its attention on the wine-making facilities. 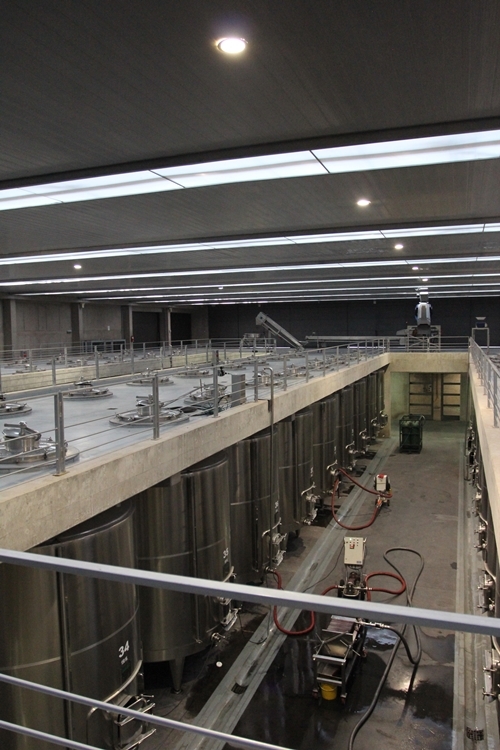 Rolland has chosen to construct solely concrete tanks in his winery. This might come as a surprise to some, yet this method of fermentation and ageing is preferred by many of the world’s best winemakers. 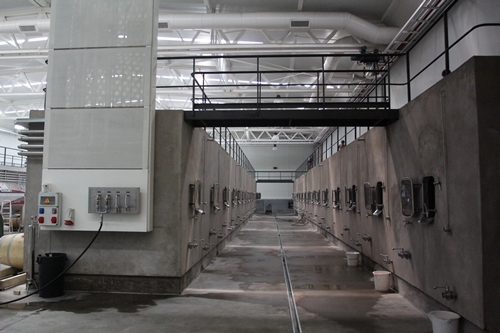 Peter Sisseck of Dominio de Pingus is one of the advocates for using concrete. It was also a humming time at Bodega Rolland. 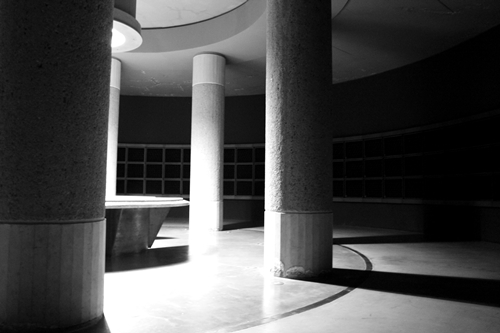 The combination of concrete, steel and natural light makes a ravishing sight. 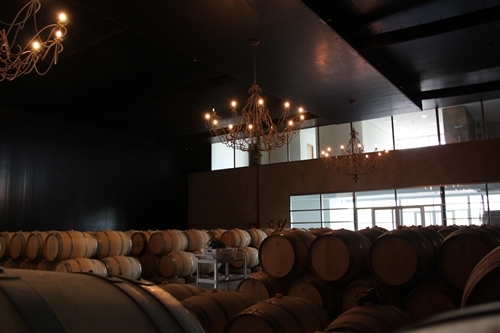 Bodega Rolland’s barrel room has a simplicity that makes it incredibly beautiful. Picking trays, cleaned and ready for harvest. An exciting time of year and visiting Clos de los Siete was such a joy. Moreover was I extremely lucky to meet most of the owners and winemakers, since my visit coincidentally fell close to the owners’ harvest meeting.